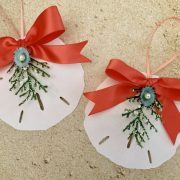 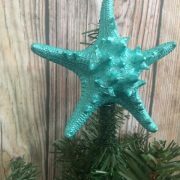 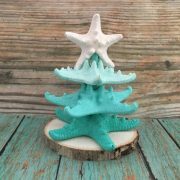 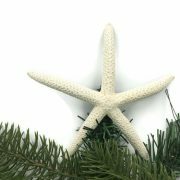 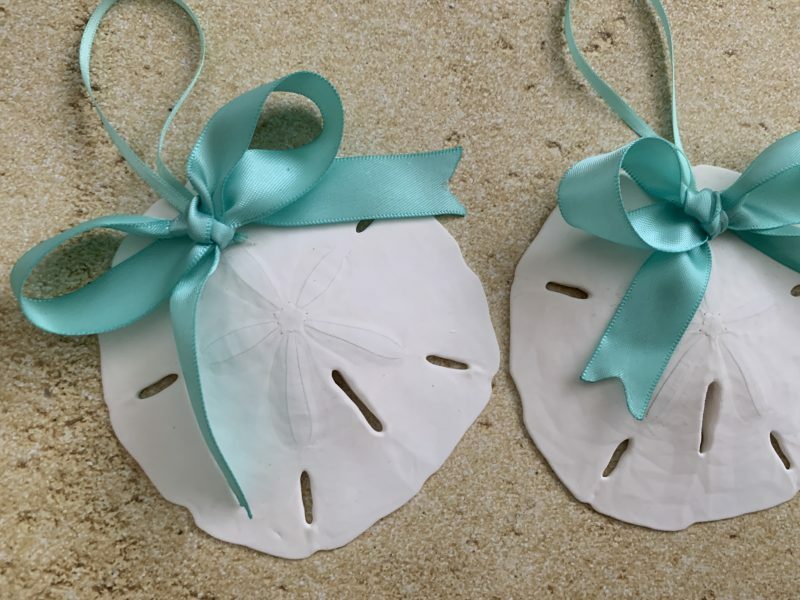 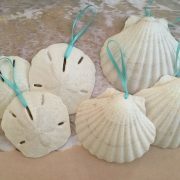 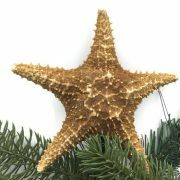 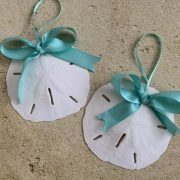 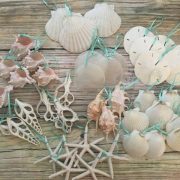 This set of 6 sand dollar ornaments are the perfect addition to your tree! 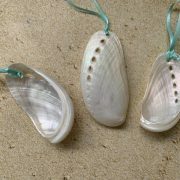 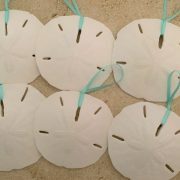 These natural sand dollars are approximately 3.5 – 4 inches, with a natural finish. 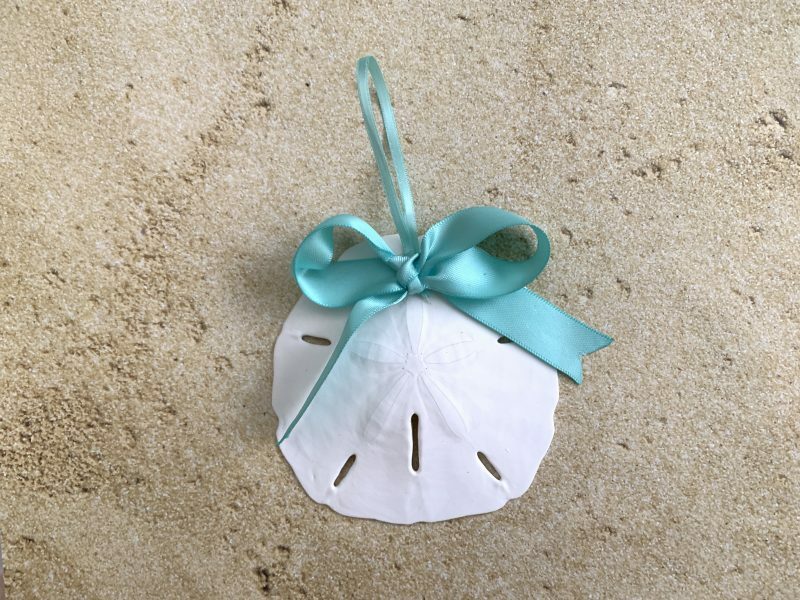 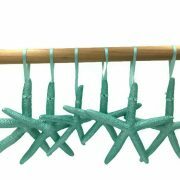 Hand made turquoise bow with turquoise ribbon loop is adhered to the top of the sand dollar. 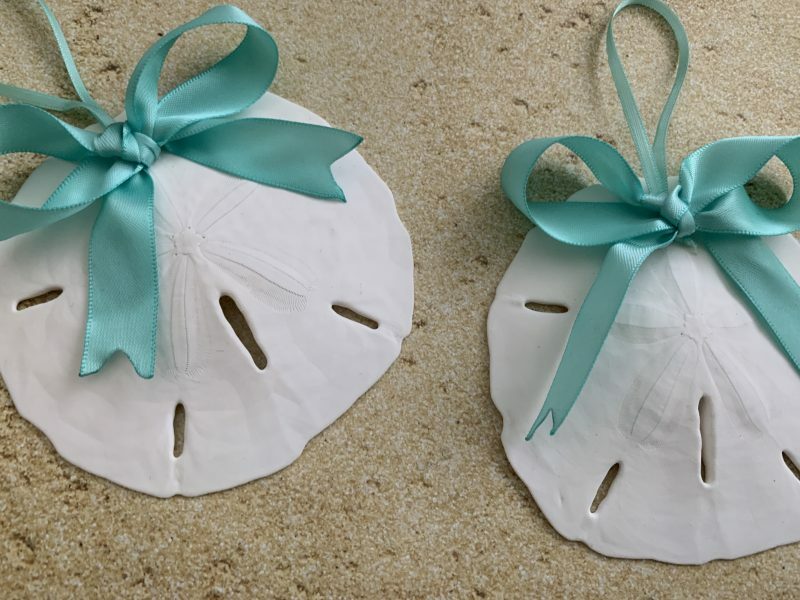 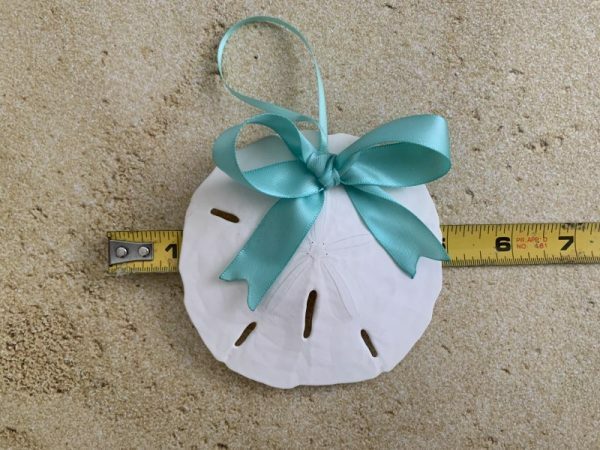 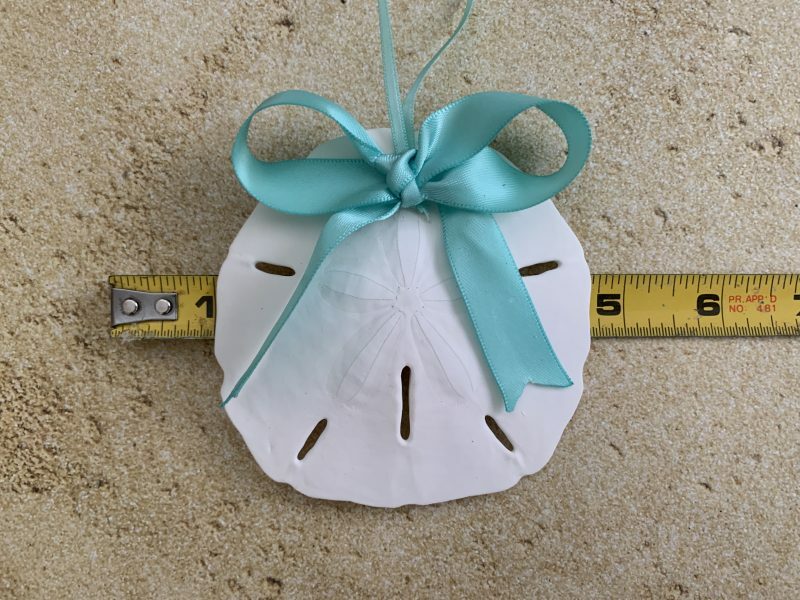 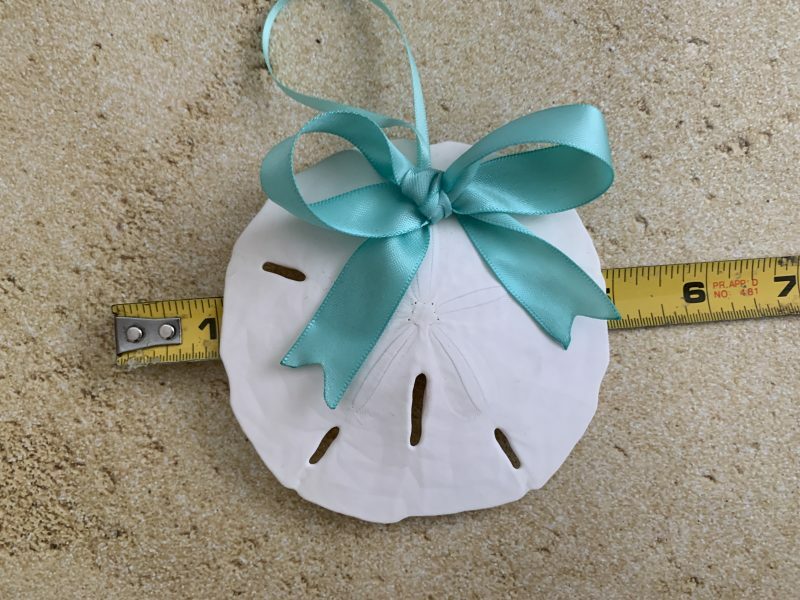 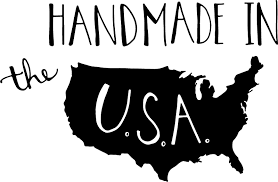 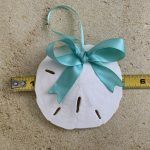 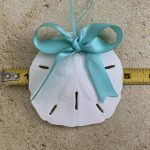 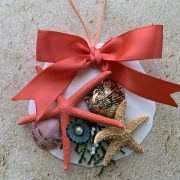 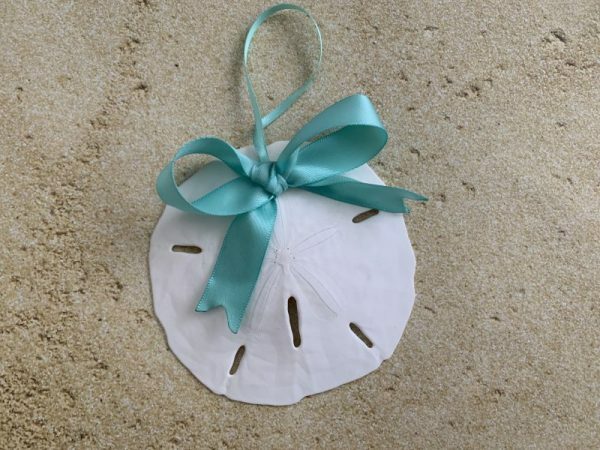 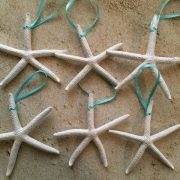 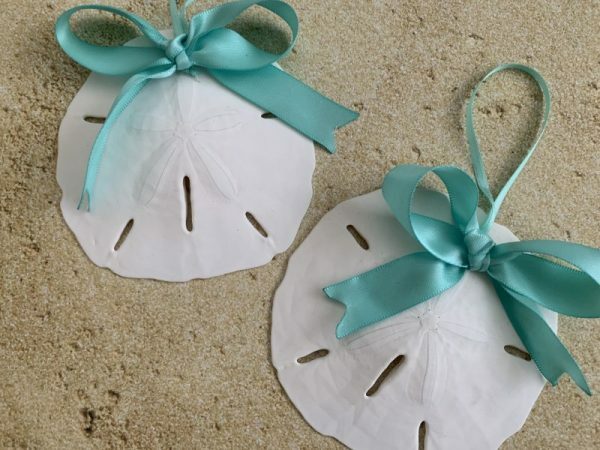 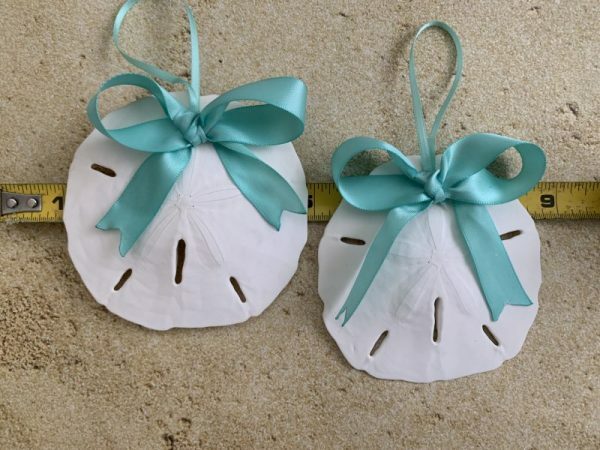 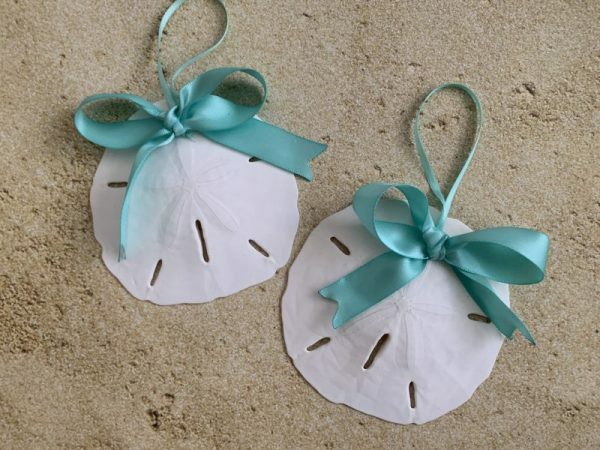 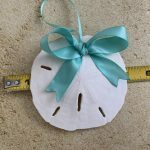 Please click here for individual sand dollar ornaments.